Farmers and gardeners know their soil texture can make a big difference in their success. Different plants have different needs for water, nutrients, and air. When they grow in soil that has the right texture, it is easier to deliver the right amount of water, fertilizer, or pesticide to the plants. Then they grow better. Traditional ways of analyzing soil texture are slow. Danish researchers have shown a new, high-tech method that is fast, cost-effective, and portable. This technique could make it much easier to understand the soil texture of a particular area–or even large areas across the globe. The smallest particles are classified as clay. These microscopically tiny particles look like fine powder. They have a reactive surface area that can hold water, nutrients, and salts. The particles in the next group, called silt, are not quite as small. They still look like powder but are not nearly as reactive as clay. The largest particles are sand. You can see individual sand particles with the naked eye. Sand has no reactive surface area, so it absorbs no water or nutrients. How much of the soil is clay, silt, and sand defines the soil texture. The texture determines how loosely or densely the soil is packed. It also affects how fast water will drain from the soil after it rains. Some crops might prefer a soil mainly made of sand. Some crops might prefer a higher content of clay. The research group included scientists who specialized in different areas of soil science. Soil physics and geology have different ways of defining the limiting sizes for the clay and silt fractions–that is, what size ranges of particles are considered clay or silt. "This can lead to confusion when those sciences try to work together," said soil scientist Cecilie Hermansen of Aarhus University. So the researchers came up with a way to overcome this issue. They tried using a technology that was already being used to study other properties of soil. Visible near-infrared diffuse reflectance spectroscopy (vis-NIRS, for short) is a way of measuring activity in the visible range and just beyond. The vis-NIRS sensors can reveal differences in particle sizes due to the way they scatter light. The research team found that vis-NIRS can provide detailed soil texture measurements that do not depend on the definitions different scientists use to describe clay, silt, and sand. Let's go back to how this can help a farmer or gardener. The relative amounts of clay, silt, and sand in the soil can vary a lot on a single plot of land. With portable vis-NIRS sensors, Hermansen said, multiple soil samples can be taken and analyzed quickly, right in the field. "A landscape manager might want to grow a wide variety of plant species across a public park," she noted. "A map illustrating the different soil types can help the gardener choose the best plant species for different locations in the park." The scale of this technology is still growing. 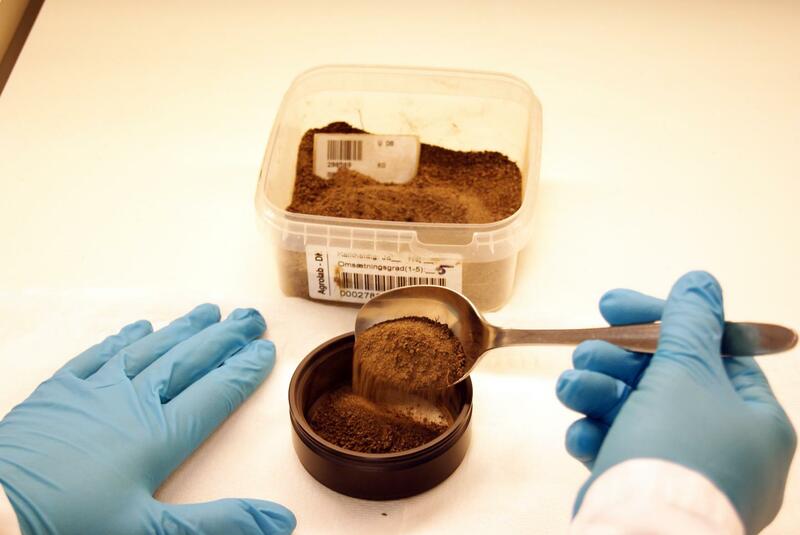 One day, airborne and spaceborne sensors may be able to generate data to map detailed soil properties, including soil texture, across the globe. Hermansen collaborated with a team of scientists from Aarhus University and Aalborg University. Their work is published in the Soil Science Society of America Journal.